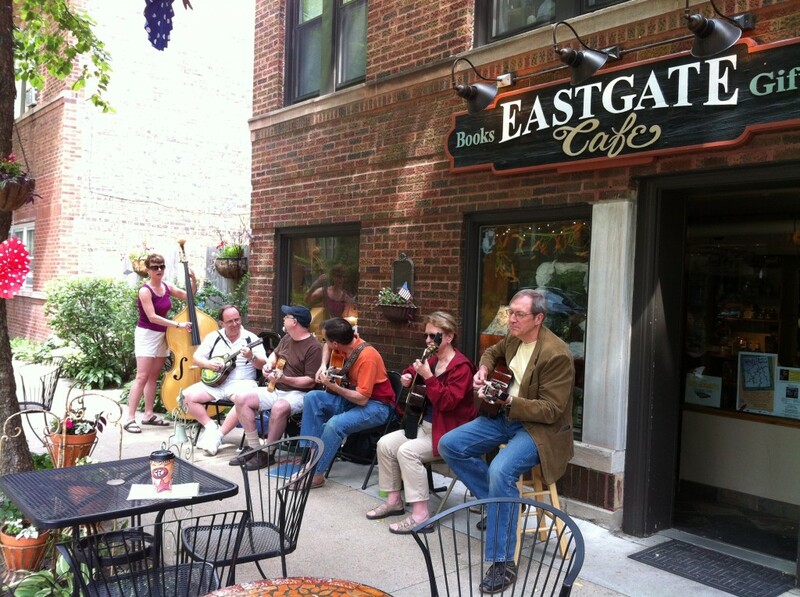 Tuesday Tasting - Eastgate Cafe - Mar 19, 2019 - Oak Park-River Forest Chamber of Commerce, IL ? 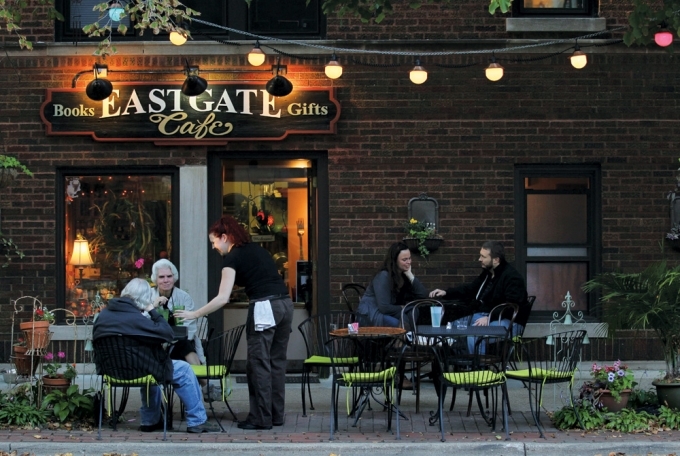 This month we explore Eastgate Cafe, an out-of-the-way bistro which literally embodies Oak Park's underground dining scene. Come feast with us! Owners Patrick and Olya just released the menu for our family-style meal: quiche, pulled pork, harvest chicken, au gratin potatoes, wasabi mashed potatoes, lemon sauce veggies, tomato basil soup, pasta marinara, mixed green salad, dessert and more! Six days a week from 10 a.m. until 10 p.m., Patrick and Olya Dailey are at work cooking and serving up their favorite homespun American and European-inspired drinks, dishes and desserts from an open kitchen behind the counter in the rezoned, retooled two-bedroom garden apartment of their mixed-use apartment building at 102 Harrison St. (near Lyman Ave.) in Oak Park. 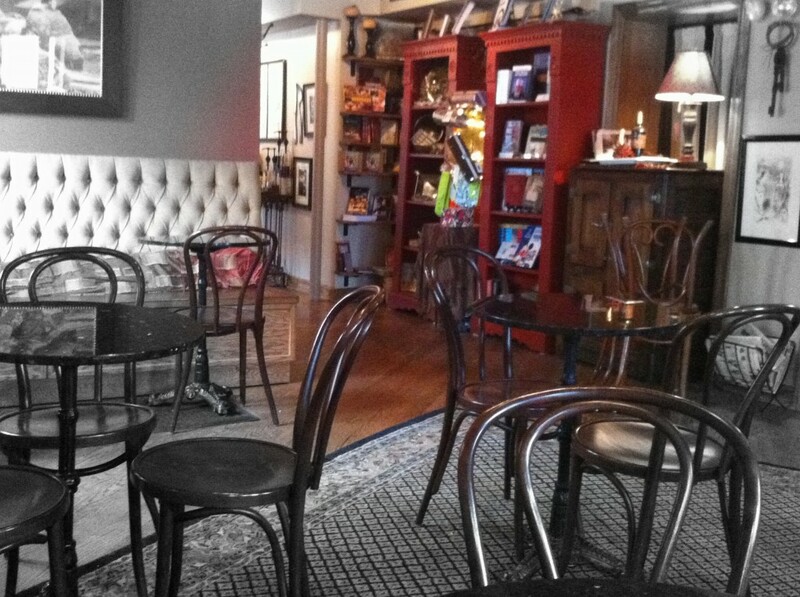 Eastgate Cafe, Books and Gifts has become a local fixture, offering food, an array of hostess gifts, coffee table books and even wine at reasonable prices. It is tucked away a couple of blocks west of Austin Boulevard in the midst of house boutiques, eateries, art galleries and other small businesses that have come to define the Oak Park Arts District. Cost includes entree, tax, and tip! Street parking is available around the cafe.